In 2018, the City of Columbus included $5 million in its capital improvements budget to support the Affordable Housing Alliance's plan to close our community's affordable housing gap. 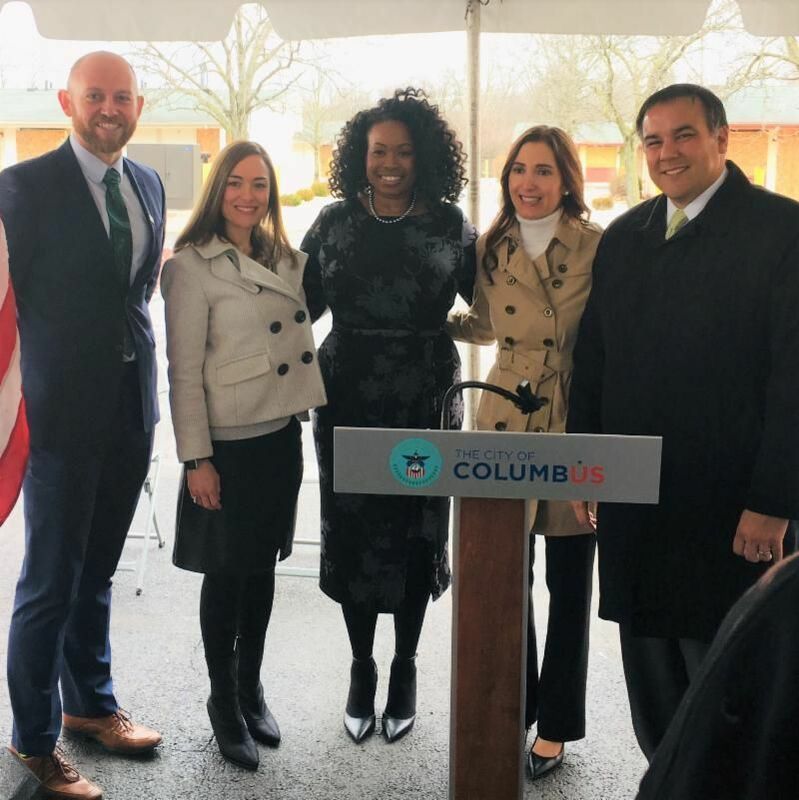 On February 27, 2019, Columbus Mayor Andrew Ginther and City Councilmember Shayla Favor announced the first use of these resources . The city will contribute $1.6 million of the funds allocated to support the work of the Affordable Housing Alliance to a new development by the Finance Fund , which will transform two former motels in Franklinton into a campus-like setting with housing and services to meet the needs of Columbus’ homeless youth. The project will primarily support youth ages 18-24 who are homeless or have “age d o ut” of the foster care system. Project partner Star House will connect residents with employment, education, transportation, health care, mentors, and more . There is evidence that providing this type of time-limited housing assistance with targeted services helps people facing barriers to stability to be healthier and more successful in education and employment--all keys to economic success. We applaud the City for investing in this important project! On May 7, 2019, Columbus voters will be asked to approve a package of five bond issues totaling $1.03 billion. A bond package does not mean higher or new property taxes. Issue 11 will provide $50 million for affordable housing , representing significant new funds that can leverage other housing resources. In collaboration with Mid-Ohio Regional Planning Commission, Columbus will develop a plan that addresses housing as a regional issue and guides the City on how to most effectively spend its housing funds. The plan will build on the work of the Affordable Housing Alliance, the Building Industry Association , Franklin County poverty strategy and economic development study , and the Columbus Tax Incentives Study . The Central Ohio Community Improvement Corporation (COCIC), which manages the city and county land banks, has created a land trust to assure on-going affordability of homes developed and sold on property in neighborhoods with appreciating property values. In this shared equity model, when a home is sold, the trust retains ownership of the land and executes a 99-year leases for the structure. Columbus has pledged $3.8 million , plus city bond funds, for a pilot land-trust project to build 30 affordable homes in Franklinton, South Side, Near East Side and Weinland Park. That funding will attract $7.2 million in private investment. Franklin County will determine how it will fund the land trust as part of its economic development study . In addition to putting the bond issue on the ballot, the City of Columbus has recently enacted legislation and provided new funding to address affordable housing issues. This includes: 1) legislation addressing retaliatory evictions , 2) $100,000 in new funding for eviction mitigation , 3) $20,000 in new funding for senior housing stabilization , and 4) directing a portion of registration fees collected under new short-term rental regulations to affordable housing. The Franklin County Commissioners are currently considering an increase in the real estate conveyance fee as a source of new funding for affordable housing. County Commissioners can enact up to 3 mills (1 mill is $1 per $1,000 of taxable value of real property) of permissive conveyance fee. The fee applies to the sale price of real estate. Franklin County enacted a $1 fee in 2005, which provides funding for the Affordable Housing Trust and Community Shelter Board and currently produces $6-7 million a year. Franklin County is now one of only 11 counties with a permissive fee of $1 or less, and 54 counties have enacted the full $3 fee. A February 9, 2019, Columbus Dispatch editorial makes the case for increasing the fee, noting: "Central Ohio’s prosperity depends on having affordable housing options for all residents, current and future." Could the "Columbus Way" Solve Affordable Housing? "A March 10, 2019, Columbus Dispatch editorial noted that the nationally-recognized "Columbus Way" — the collaborative way in which public and private interests in our region join forces to achieve a common goal — is getting pushback from certain communities, including those that have suffered from well-documented disparities and economic inequality. The editorial suggests that that the Columbus Way should be used to tackle these issues: "As Columbus 2020 creates new goals for the next 10 or so years, why not set its sights on lifting up low-income families with sustainable wages, reducing the affordable-housing gap, eliminating high infant mortality rates (especially for black babies) and championing the mayor’s initiatives to fight crime and return prosperity to troubled neighborhoods such as Linden and the Hilltop?" Two Alliance member agencies are experiencing changes in leadership. Patrick Rafter, CEO of Creative Housing|Creative Renovations , retired in February, and Hal Keller, CEO of Ohio Capital Corporation for Housing, is retiring at the end of March. Both have contributed an incalculable amount to affordable housing in central Ohio over more than 25 years. We thank them so much for all they have done and for their support of the Alliance and wish them the very best in retirement! Effective April 1, 2019, Peg Moertl will become the next President of Ohio Capital Corporation for Housing . Peg comes to OCCH from HCDC, a Cincinnati non-profit economic development agency. Prior to her work with HCDC, Peg served as Senior Vice President of Community Development Banking at PNC Bank for nearly 15 years. Critty Buenconsejo is the new CEO of Creative Housing|Creative Renovations . Critty previously served as Creative Housing’s Director of Special Projects and Design where she oversaw Creative Housing’s construction projects and residential renovations. Before joining Creative Housing, she had ten years of design, construction documentation, and project management experience working with architectural firms. National Church Residences Rides the "Gray Wave"
Whitehall City Council recently approved two new Homeport developments . A four-story, 102-unit workforce apartment project and a 32-unit apartment building are planned for Etna Road, east of with Hamilton Road. The target renter is 55 years and older. Woda Cooper and Homeport are teaming up on Arthur Crossing , a Far West Side project . The development will create 116 affordable apartments geared for people working at nearby warehouses, retail centers, and similar workplaces. Zoning changes for the project were approved by Columbus City Council in February. In December, Woda Cooper Companies, Inc. had a Grand Opening at Fairwood Commons , 1774 East Main St., Columbus. The $11.6 million development is a 54-unit, affordable senior housing community and is the first Passive House certified multifamily property in Ohio. In March , Bill Hinga (Wallick Communities) and Hal Keller (Ohio Capital Corporation for Housing) joined Ohio Housing Finance Agency staff at a series of events and Capitol Hill visits to the Ohio Congressional delegation. Among the issues discussed were the reintroduction of the Affordable Housing Credit Improvement Act (AHCIA) and the Outline for Housing Finance Reform. In January, Cincinnati City Council approved $403,000 for an eviction prevention fund. Funds will be given to help people who fall behind in rent after suffering a crisis. Success will be monitored by the number of people who stay in their homes. Read the Cincinnati Enquirer article. In February 2019, Cuyahoga County Council approved a $30 million housing program to stabilize home values, eliminate blight, and encourage renovation and construction of affordable housing. The program will be financed with $21.5 million from fees collected on delinquent property taxes and $7.5 million in casino tax revenues. Read the cleveland.com article . In many communities, home prices and rents have climbed out of reach for a growing share of households. New construction disproportionately serves the affluent. Housing subsidies benefit only a fraction of those in need. And America’s history of racial discrimination and segregation has locked too many out of neighborhoods of choice. The Urban Institute highlights bold ideas from across the country that are addressing these challenges. Read the Urban Institute report. An article by Richard Florida makes the case that building more affordable housing units in the metros that are centers of innovation will increase demand for the wares that fill houses, and increase productivity. Read the CITYLAB article. Five Winning Ideas to Build Housing More Quickly and Cheaply in L.A.
Ideas include assembling micro communities from polymer panels, reviving the iconic L.A. bungalow courtyard, and converting two-car garages into studio apartments across suburbia. Those projects, and two others to build more-conventional housing using prefab modules, were named winners of the Los Angeles County $4.5 million housing for the homeless innovation challenge . Read the Los Angeles Times article. 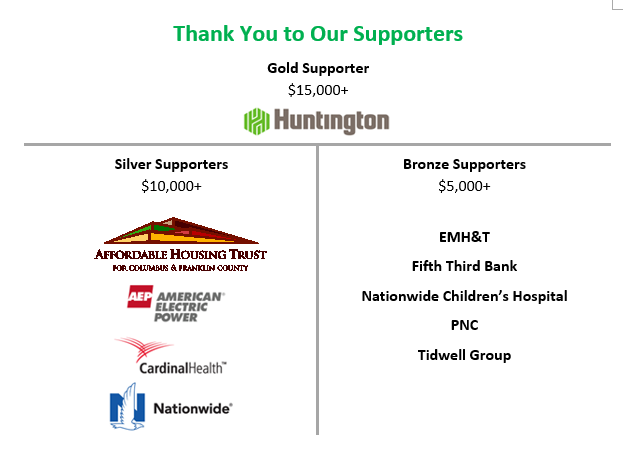 With your financial support, we are working to cut the Franklin County affordable housing gap, which will make our community the best it can be. Please make checks and other gifts payable to: Affordable Housing Alliance of Central Ohio - 175 South Third Street, Suite 1060, Columbus, Ohio 43215. Contributions are not tax deductible, as the Alliance is a 501(c)(4) organization. 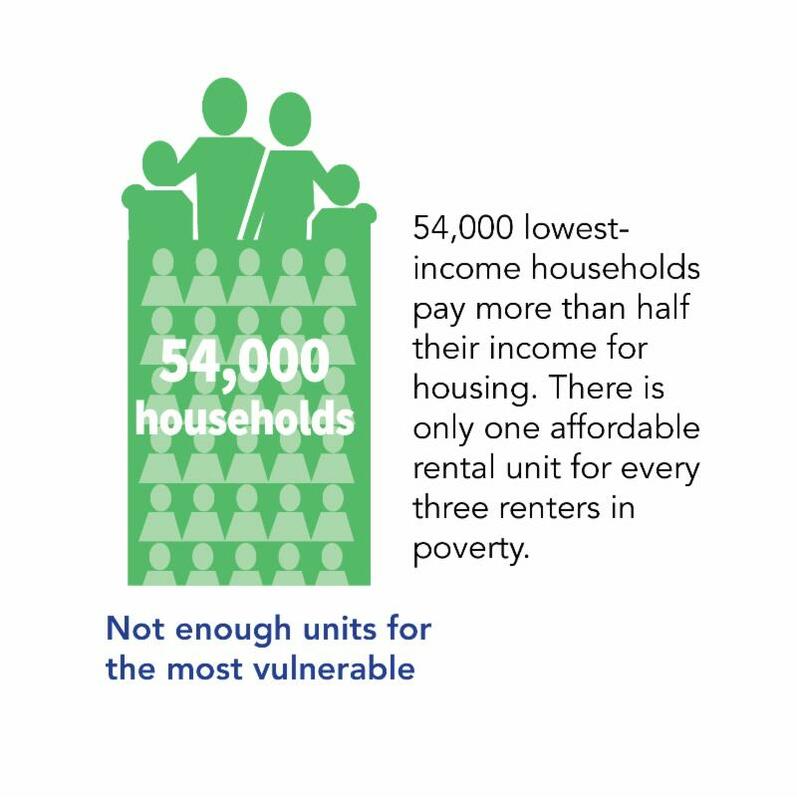 To learn more, see the AHACO affordable housing research report on our website: The Columbus and Franklin County Affordable Housing Challenge: Needs, Resources, and Funding Models.